A race of skilled magic users from the Federation of Windurst, the Tarutaru physically resemble children, however their size does not reflect their age. Tarutaru are playful yet cunning. They possess the highest MP and intelligence of all the races, but the lowest HP and strength. Tarutaru are said to be cursed with cowardice. Final Fantasy XI is the most representative title of the Final Fantasy series, according to producer Hiromichi Tanaka. Following its PC release, Final Fantasy XI was listed as one of IGN's most anticipated PlayStation 2 games of 2004.Sony launched a multimillion-dollar ad campaign to promote Final Fantasy XI along with the PlayStation 2 hard drive add-on which the game required. Having been released on the PlayStation 2 as well as the personal computer, it became the first cross-platform MMORPG ever created. On June 14, 2002, the game server was down for four hours for maintenance to the database servers, bug fixes on the text interface, and a new patch for the game client. This is thought to be the first patch ever released for a console game. Other early issues included complaints by American players that experienced Japanese players had already completed all the quests. Square Enix responded by adding new servers in order to have game worlds with fewer expert players. ^ a b Adams, David (January 7, 2004). "Final Fantasy XI Hits Subscriber Milestone". IGN. Archived from the original on November 7, 2012. Retrieved August 15, 2006. ^ Thorsen, Tor (April 17, 2006). "Shippin' Out 4/17-4/21: Final Fantasy XI Online, Brain Age". GameSpot. Archived from the original on November 6, 2012. Retrieved December 20, 2006. ^ Eric Qualls. "Final Fantasy XI Xbox 360 Info Page". Archived from the original on October 23, 2007. Retrieved May 21, 2008. ^ "Seekers of Adoulin". Square Enix. Archived from the original on August 19, 2012. Retrieved October 5, 2012. ^ Fuller, Alex (November 11, 2015). "Final Fantasy XI Finishes Rhapsodies of Vana'diel". RPGamer. Archived from the original on March 20, 2017. Retrieved March 19, 2017. ^ "Final Fantasy XI shutting down on PS2 and Xbox 360". TechnoBuffalo. Archived from the original on July 16, 2015. ^ "Nexon to Develop FINAL FANTASY XI Mobile with SQUARE ENIX High-quality mobile game based on successful FINAL FANTASY Ⅺ to be released in 2016 with planned global expansion". Square Enix. Archived from the original on April 2, 2015. Retrieved March 29, 2015. ^ a b c "Welcome to Vana'diel". PlayOnline. January 1, 2006. Archived from the original on July 18, 2006. Retrieved July 16, 2006. ^ a b Sheffield, Brandon (September 6, 2007). "AGDC: How Square Enix Hunts The Hunters". Gamasutra. Archived from the original on February 21, 2008. Retrieved February 29, 2008. ^ Lewis, Ed (March 23, 2004). "FFXI Interview". IGN. Archived from the original on November 4, 2012. Retrieved August 15, 2006. ^ Square Enix. "World Transfer Service". Playonline. Archived from the original on May 5, 2011. Retrieved April 16, 2011. ^ Zonk (September 7, 2007). "Protecting Final Fantasy XI From the Gil-Sellers". Slashdot. Archived from the original on February 9, 2011. Retrieved February 24, 2008. ^ Square Enix, ed. (2002). Final Fantasy XI instruction manual. Square Enix. pp. 81–83. ^ "Quests, Missions, Conquest". PlayOnline. January 1, 2007. Archived from the original on March 14, 2007. Retrieved February 21, 2007. ^ a b c Komili, Onur (December 1, 2003). "Final Fantasy XI Review". IGN. Archived from the original on November 3, 2012. Retrieved August 15, 2006. ^ Patrick Gann (September 10, 2007). "Final Fantasy XI: Treasures of Aht Urhgan". RPGFan. Archived from the original on April 18, 2008. Retrieved March 14, 2008. ^ Jeremy Dunham (March 30, 2004). "Final Fantasy XI PvP Details". IGN. Retrieved March 11, 2008. ^ "Conflict: Rules of Ballista". PlayOnline. April 1, 2004. Archived from the original on April 20, 2007. Retrieved June 9, 2007. ^ "Chapter 2: Event Name Ballista". PlayOnline. January 1, 2006. Archived from the original on October 18, 2006. Retrieved August 17, 2006. ^ a b Nickel, Thomas (May 17, 2005). "Hiromichi Tanaka — Final Fantasy III". g-wie-gorilla. Archived from the original on August 14, 2011. Retrieved March 7, 2008. ^ "Job and Races". Final Fantasy XI Official Website. January 1, 2006. Archived from the original on September 2, 2006. Retrieved August 17, 2006. ^ Komili, Onur (December 1, 2003). "Final Fantasy XI". IGN. Archived from the original on November 7, 2012. Retrieved February 21, 2008. ^ Perry, Douglass C. (June 1, 2006). "It's Chocobo Breeding Time". IGN. Archived from the original on March 4, 2016. Retrieved April 8, 2013. ^ Cordeira, Jim (March 27, 2007). "Final Fantasy XI: Chocobo Racing to launch this week". Gaming Age. Archived from the original on February 4, 2008. Retrieved February 24, 2008. ^ Guisinger, Elliot (December 6, 2004). "Final Fantasy XI Economy to be Upgraded". RPGamer. Archived from the original on May 6, 2008. Retrieved February 24, 2008. ^ IGN Staff (July 8, 2002). "Final Fantasy XI Cheats Exposed". IGN. Archived from the original on November 4, 2012. Retrieved August 15, 2006. ^ "Crystals and Synthesis". PlayOnline. January 1, 2007. Archived from the original on February 27, 2007. Retrieved February 21, 2007. ^ "The December Version Update Cometh!". PlayOnline. December 8, 2008. Archived from the original on December 10, 2008. Retrieved August 8, 2006. ^ "Terms and Conditions". PlayOnline. December 8, 2004. Archived from the original on August 14, 2006. Retrieved August 15, 2006. ^ IGN Staff (February 10, 2006). "Final Fantasy XI Smacks Down Cheaters". IGN. Archived from the original on November 7, 2012. Retrieved August 15, 2006. ^ Caldwell, Patrick (July 24, 2006). "Square Enix bans more FFXI accounts". GameSpot. Archived from the original on November 4, 2012. Retrieved August 16, 2006. ^ a b "Locations of FFXI". Square Enix. Archived from the original on January 13, 2013. Retrieved November 15, 2012. ^ a b Ishaan (June 23, 2012). "Final Fantasy XI Expansion, Seekers of Adoulin, Brings Two New Classes". Archived from the original on March 29, 2013. Retrieved April 11, 2013. ^ "Adversaries: The Beastmen Forces". PlayOnline. January 1, 2006. Archived from the original on August 21, 2006. Retrieved August 17, 2006. ^ "ヴァナ★フェス2008レポート04 - 『ファイナルファンタジーXI』ヴァナ・ディール通信 blogのホーム - ヴァナ★フェス2008レポート06". Famitsu. November 22, 2008. Archived from the original on July 2, 2013. Retrieved April 11, 2013. 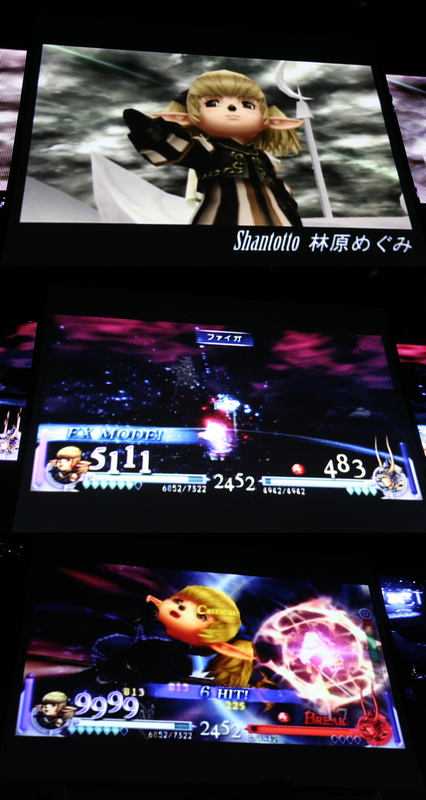 ^ "Screenshots of Shantotto in Dissidia". Archived from the original on July 23, 2012. Retrieved April 11, 2013. ^ a b c Hoopy (January 30, 2007). "Interview Hiromichi Tanaka et Sage Sundi Final Fantasy XI" (in French). Jeuxvideopc.com. Archived from the original on February 6, 2007. Retrieved October 13, 2008. ^ Final Fantasy Retrospective Part VIII. GameTrailers. September 4, 2007. Archived from the original on September 5, 2013. Retrieved April 8, 2013. ^ Nutt, Christian (May 17, 2005). "Square Enix Q&A Session Report (PC)". GameSpy. Archived from the original on February 4, 2015. Retrieved August 15, 2006. ^ Jones, Zakk (September 19, 2002). "NVIDIA and Square Bringing Final Fantasy XI to PC". IGN. Archived from the original on November 7, 2012. Retrieved August 15, 2006. ^ IGN Staff (May 10, 2002). "Final Fantasy XI—Big Plans, Big Money". IGN. Archived from the original on November 4, 2012. Retrieved August 15, 2006. ^ a b Dunham, Jeremy (May 14, 2003). "E3 2003: Final Fantasy XI Developer Interview". IGN. Archived from the original on October 17, 2013. Retrieved August 15, 2006. ^ Woodard, Christopher (March 24, 2006). "GDC: Creating a Global MMO: Balancing Cultures and Platforms in Final Fantasy XI". Gamasutra. Archived from the original on December 7, 2010. Retrieved August 16, 2006. ^ Zdyrko, Dave (February 8, 2000). "Colossal Final Fantasy XI Revelation". IGN. Archived from the original on November 4, 2012. Retrieved August 15, 2006. ^ a b c Van, Tim (January 1, 2007). "Final Fantasy XI OST". RPGFan. Archived from the original on January 16, 2013. Retrieved February 24, 2006. ^ Vassar, Darryl (November 13, 2003). "Final Fantasy XI (PC)". GameSpy. Archived from the original on March 5, 2007. Retrieved August 15, 2006. ^ IGN Staff (July 31, 2001). "Final Fantasy XI Due For Full Test In December". IGN. Archived from the original on November 4, 2012. Retrieved August 15, 2006. ^ Bob Moseley (March 18, 2004). "FFXI ad push backed by big $$$". GameSpot. Archived from the original on March 6, 2016. Retrieved April 8, 2013. ^ IGN Staff (June 12, 2002). "Final Fantasy XI Server Downtime". IGN. Archived from the original on November 4, 2012. Retrieved August 15, 2006. ^ IGN Staff (June 11, 2002). "Final Fantasy XI First Patch". IGN. Archived from the original on November 4, 2012. Retrieved August 15, 2006. ^ Miller, Ross (February 1, 2007). "Square Enix blames Wii friend codes for lack of FFXI". joystiq. Archived from the original on January 31, 2015. Retrieved March 10, 2008. ^ "Support for Microsoft Windows Vista". PlayOnline. March 22, 2007. Archived from the original on March 28, 2007. Retrieved March 22, 2007. ^ "New Director for FINAL FANTASY XI (09/01/2010)". PlayOnline. September 1, 2010. Archived from the original on August 31, 2010. Retrieved September 1, 2010. ^ "A Message from the FINAL FANTASY XI Development Team (10/12/2010)". PlayOnline. December 10, 2010. Archived from the original on December 25, 2010. Retrieved December 10, 2010. ^ Gantayat, Anoop (July 13, 2011). "Kingdom Hearts 3D, Final Fantasy XI, Dissidia and More in Famitsu". andriasang.com. Archived from the original on January 1, 2012. Retrieved August 2, 2011. 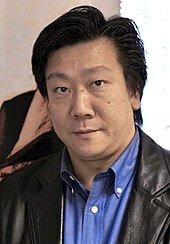 ^ "Longtime Final Fantasy Producer Stepping Down, Health Reasons Cited". Kotaku.com. June 24, 2012. Archived from the original on June 25, 2012. Retrieved June 24, 2012. ^ Woodard, Christopher (March 26, 2006). "GDC: Creating a Global MMO: Balancing Cultures and Platforms in Final Fantasy XI". Gamasutra. Archived from the original on March 3, 2016. Retrieved March 25, 2016. ^ Square Enix. "News Flash o Thur April 23, 2009". Archived from the original on May 22, 2009. Retrieved April 23, 2009. ^ a b "The Most Profitable Final Fantasy of All-Time is..." IGN. Archived from the original on January 14, 2016. Retrieved October 5, 2012. ^ Gann, Patrick (September 23, 2004). "Final Fantasy XI Rise of the Zilart OST". RPGFan. Archived from the original on April 9, 2008. Retrieved March 7, 2008. ^ Fahey, Rob (February 25, 2005). 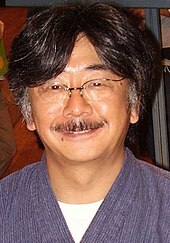 "Focus On: Final Fantasy composer Nobuo Uematsu". Gamesindustry.biz. Archived from the original on August 29, 2012. Retrieved August 15, 2006. ^ IGN Music (May 10, 2005). "Final Fantasy Soundtracks". IGN. Archived from the original on February 5, 2013. Retrieved August 15, 2006. ^ "Final Fantasy XI Original Soundtrack PREMIUM BOX". Square Enix. 2007. Archived from the original on March 22, 2007. Retrieved March 27, 2007. ^ "Square Enix Music". Square Enix. May 10, 2005. Archived from the original on January 17, 2008. Retrieved February 29, 2008. ^ a b c Nakamura, Toshi (December 27, 2012). "The Japanese PS2's Last Game Gets A Release Date". Kotaku. Archived from the original on January 29, 2013. Retrieved January 28, 2013. ^ a b IGN Staff (November 20, 2002). "Final Fantasy XI Expansion Disc?". IGN. Archived from the original on November 4, 2012. Retrieved August 15, 2006. ^ IGN Staff (October 10, 2003). "Final Fantasy XI PC to Ship on October 28th". IGN. Archived from the original on April 2, 2015. Retrieved April 8, 2013. ^ IGN Staff (June 8, 2005). "Final Fantasy XI Team Works on New Project". IGN. Archived from the original on October 18, 2012. Retrieved August 15, 2006. ^ Carless, Simon (May 16, 2005). "Microsoft Reveals Square Enix Support, 'Selected' Backward Compatibility For Xbox 360". Gamasutra. Archived from the original on November 21, 2006. Retrieved August 16, 2006. ^ IGN Staff (March 27, 2003). "Last Bits of FFXI Expansion Info". IGN. Archived from the original on November 4, 2012. Retrieved March 11, 2008. ^ "Final Fantasy XI Chains of Promathia". GameFAQs. January 1, 2005. Archived from the original on August 5, 2011. Retrieved February 29, 2008. ^ Hatfield, Daemon (November 7, 2006). "Final Fantasy XI Collection Updated". IGN. Archived from the original on November 7, 2012. Retrieved March 8, 2008. ^ Jeremy Dunham (September 28, 2004). "Final Fantasy XI: Chains of Promathia". IGN. Archived from the original on November 4, 2012. Retrieved March 11, 2008. ^ "Final Fantasy XI: Treasures of Aht Urhgan". GameFAQs. January 1, 2007. Archived from the original on May 23, 2010. Retrieved February 29, 2008. ^ Allakhazam.com Staff (June 12, 2007). "Editorial: E3: Interview with FFXI Developers". Allakhazam. Archived from the original on April 11, 2009. Retrieved March 11, 2008. ^ benleslie5 (January 7, 2008). "Tokyo Gameshow 07". GameSpot. Archived from the original on December 6, 2008. Retrieved February 29, 2008. ^ Square Enix staff (May 12, 2007). "Official Site for "Wings of the Goddess"!". PlayOnline. Archived from the original on May 9, 2007. Retrieved May 12, 2007. ^ "Nov. 20, 2007 (JST) Update Details". PlayOnline. November 20, 2007. Archived from the original on March 2, 2008. Retrieved February 29, 2008. ^ Cody Bye (March 2, 2008). "Final Fantasy XI: Dancer and Scholar Interview". Ten Ton Hammer. Archived from the original on February 16, 2012. Retrieved March 11, 2008. ^ "'A Crystalline Prophecy' Site Updated and Advance Order Date Announced!". Square Enix. March 16, 2009. Archived from the original on March 21, 2009. Retrieved March 25, 2009. ^ "The Adventure Continues With Three All-New Final Fantasy XI Expansion Chapters!". Square Enix. November 22, 2008. Archived from the original on January 6, 2009. Retrieved November 22, 2008. ^ a b c James Mielke (May 22, 2009). "FFXI Developer Interview Reveals the Process Behind Their Latest Expansion". 1UP.com. Retrieved March 29, 2013. ^ "Final Fantasy XI". PlayOnline. Archived from the original on May 10, 2013. Retrieved April 11, 2013. ^ "Abyssea Add-ons Information". Square Enix. Archived from the original on December 18, 2012. Retrieved November 15, 2012. ^ Daniel, Matt (February 2, 2013). "Final Fantasy XI: Seekers of Adoulin site details Geomancer abilities, Naakual bosses". joystiq. Archived from the original on January 29, 2015. Retrieved March 29, 2013. ^ Square Enix (March 18, 2015). "The Future of Final Fantasy XI". Archived from the original on March 21, 2015. Retrieved March 18, 2015. ^ "Square Enix announces the Vana'diel Project, details future plans for Final Fantasy XI". Gematsu. Archived from the original on March 26, 2015. ^ a b "Final Fantasy XI for PlayStation 2". GameRankings. Archived from the original on June 2, 2009. Retrieved February 21, 2008. ^ a b "Final Fantasy XI for PC". GameRankings. Archived from the original on January 5, 2010. Retrieved February 21, 2008. ^ a b "Final Fantasy XI for Xbox 360". GameRankings. Archived from the original on January 5, 2010. Retrieved February 21, 2008. ^ a b "Final Fantasy XI for PlayStation 2 Reviews". Metacritic. Archived from the original on September 14, 2010. Retrieved February 21, 2008. ^ a b "Final Fantasy XI for PC Reviews". Metacritic. Archived from the original on August 30, 2010. Retrieved February 21, 2008. ^ a b "Final Fantasy XI for Xbox 360 Reviews". Metacritic. Archived from the original on August 23, 2010. Retrieved February 21, 2008. ^ a b "Famitsu Hall of Fame". GEIMIN.NET. January 1, 2006. Archived from the original on April 22, 2006. Retrieved March 7, 2008. ^ Komili, Onur (October 28, 2003). "Final Fantasy XI Review". GameSpot. Archived from the original on December 23, 2015. Retrieved February 29, 2008. ^ Vassar, Darryl (November 13, 2003). "Final Fantasy XI (PC)". GameSpy. Archived from the original on May 17, 2014. Retrieved March 1, 2008. ^ Komili, Onur (December 1, 2003). "Final Fantasy XI Review". IGN. Archived from the original on June 28, 2012. Retrieved August 15, 2006. ^ PC Zone Staff (October 15, 2004). "Final Fantasy XI Online". Computer and Video Games. Archived from the original on July 1, 2012. Retrieved February 29, 2008. ^ Kasavin, Greg (November 14, 2003). "Final Fantasy XI". GameSpot. Archived from the original on December 7, 2011. Retrieved August 15, 2006. ^ Kudou-Yusaku (July 21, 2006). "Final Fantasy XI: Treasures of Aht Urhgan Review". IGN. Archived from the original on November 7, 2012. Retrieved August 15, 2006. ^ Dunham, Jeremy (September 28, 2004). "Final Fantasy XI: Chains of Promathia". IGN. Archived from the original on November 4, 2012. Retrieved February 29, 2008. ^ Kudou-Yusaku (June 21, 2006). "Final Fantasy XI: Treasures of Aht Urhgan Review". IGN. Archived from the original on November 7, 2012. Retrieved February 29, 2008. ^ Onyett, Charles (May 3, 2006). "Final Fantasy XI". IGN. Archived from the original on October 18, 2012. Retrieved August 14, 2008. ^ a b Fahey, Rob (April 28, 2003). "Japan Charts: Final Fantasy XI add-on goes in at number one". Gamesindustry.biz. Archived from the original on December 6, 2008. Retrieved February 29, 2008. ^ "Xbox 360 History 2005-2007". Famitsu. December 9, 2007. Archived from the original on June 3, 2012. Retrieved February 29, 2008. ^ Gantayat, Anoop (November 18, 2004). "Square Enix Strong on Online, Mobile Content". IGN. Archived from the original on November 4, 2012. Retrieved August 15, 2006. ^ Dobson, Jason (August 18, 2006). "Square Enix Revises Revenue, Profit Projections Down". Gamasutra. Archived from the original on September 5, 2006. Retrieved August 16, 2006. ^ Graft, Kris (August 18, 2006). "Squeenix Slashes Profit Forecast by 43%". Next Generation Magazine. Archived from the original on June 25, 2009. Retrieved February 29, 2008. ^ IGN Staff (December 11, 2003). "Final Fantasy XI Breaks Even". IGN. Archived from the original on November 7, 2012. Retrieved August 15, 2006. ^ Woodard, Christopher. "GDC: Creating a Global MMO: Balancing Cultures and Platforms in Final Fantasy XI". Gamasutra. Archived from the original on May 11, 2012. Retrieved March 24, 2006. ^ Hryb, Larry (August 14, 2006). "Halo 2, CoD 2 Remain Most-Played Xbox Live Games". Gamasutra. Archived from the original on November 21, 2006. Retrieved August 16, 2006. ^ Ed McGlone (October 28, 2016). "It's Been 13 Years and Final Fantasy XI Still Has a Monthly Sub; How Does It Do It?". Twinfinite. Archived from the original on November 4, 2016. Retrieved November 4, 2016. ^ Square Enix Staff. "Monthly Service Fees". Square Enix. Archived from the original on November 4, 2016. Retrieved November 4, 2016. ^ IGNPS2 (October 30, 2003). "CESA Announces Game Awards". IGN. Archived from the original on November 8, 2012. Retrieved August 15, 2006. 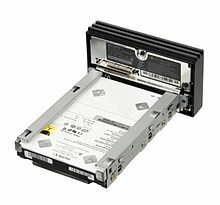 ^ IGNPS2 (March 31, 2004). "Game of the Month: March 2004". IGN. Archived from the original on November 8, 2012. Retrieved August 15, 2006. ^ "Final Fantasy XI USA Awards". PlayOnline. January 1, 2006. Archived from the original on October 18, 2006. Retrieved August 17, 2006. ^ IGN Staff (January 15, 2004). "Minna no Golf Merges with FFXI". IGN. Archived from the original on November 4, 2012. Retrieved August 15, 2006. ^ Miyabi Hasegawa. ファイナルファンタジー11―星の誓い (文庫). ISBN 4757714246. ^ Miyabi Hasegawa. Final Fantasy XI: Final Fantasy XI Bd. 1. Das Lied des Sturms: Bd 1 (Broschiert). ISBN 3833214554. ^ fleuvenoir.fr Staff. "Fiche livre "Final Fantasy XI T-1"". Archived from the original on July 18, 2007. Retrieved July 21, 2007. ^ PlayOnline staff (March 8, 2007). "Final Fantasy XI Newsletter Issue 18". PlayOnline. Archived from the original on June 29, 2009. Retrieved August 27, 2009. ^ IGN Staff (February 7, 2002). "Final Fantasy XI Credit Cards". IGN. Archived from the original on November 4, 2012. Retrieved August 16, 2006. ^ IGN Staff (January 18, 2002). "Final Fantasy XI Moichandising Begins". IGN. Archived from the original on November 4, 2012. Retrieved August 16, 2006. ^ "Final Fantasy XI". Square Enix. January 1, 2006. Archived from the original on September 12, 2006. Retrieved August 17, 2006. ^ Natalie Kipper (June 22, 2012). "Rest a spell on these Final Fantasy XI pillows". TomoPop. Archived from the original on October 30, 2014. Retrieved April 8, 2013. ^ Rio McCarthy (April 27, 2010). "TomoPop Review: Square Enix's Final Fantasy XI Tarutaru Trading Arts' Mini Figures". TomoPop. Archived from the original on November 13, 2012. Retrieved April 8, 2013. ^ "Final Fantasy XI Vana-Diel Clock". Home Visions. January 1, 2008. Archived from the original on March 7, 2009. Retrieved February 24, 2008.